More fun times at the Academy of Applique! 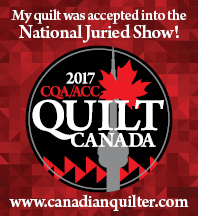 Exciting news….for the fourth year in a row, one of my quilts has been juried into the show at Quilt Canada this year! This awesome event is in Ottawa this year, which is only 5 hours away, so we are going on a road trip in June. Hope to see you there! As promised, here are some photos from the second class I taught at the recent Academy of Applique, held in Williamsburg, Virginia. So every night I make myself a pot of tea and stitch the night away. Really, it is amazing how much stitching you can get done when you just sit and do it! Fun Times at The Academy of Applique! The first class I taught this year was The Rose of Sharon. I worried that maybe the students wouldn’t accomplish as much as I thought they should. But you can see from the photos that I need not have worried. The majority of students in this class were “beginners” and had not tried Prepared Edge Applique before. You can see that everyone caught on very quickly. That is why I love, love, love this method! By the end of the third day, we were exhausted, but look how much everyone accomplished! Also, I still have 2 spots left in my upcoming Spring Applique Retreat. You can check out the details here.